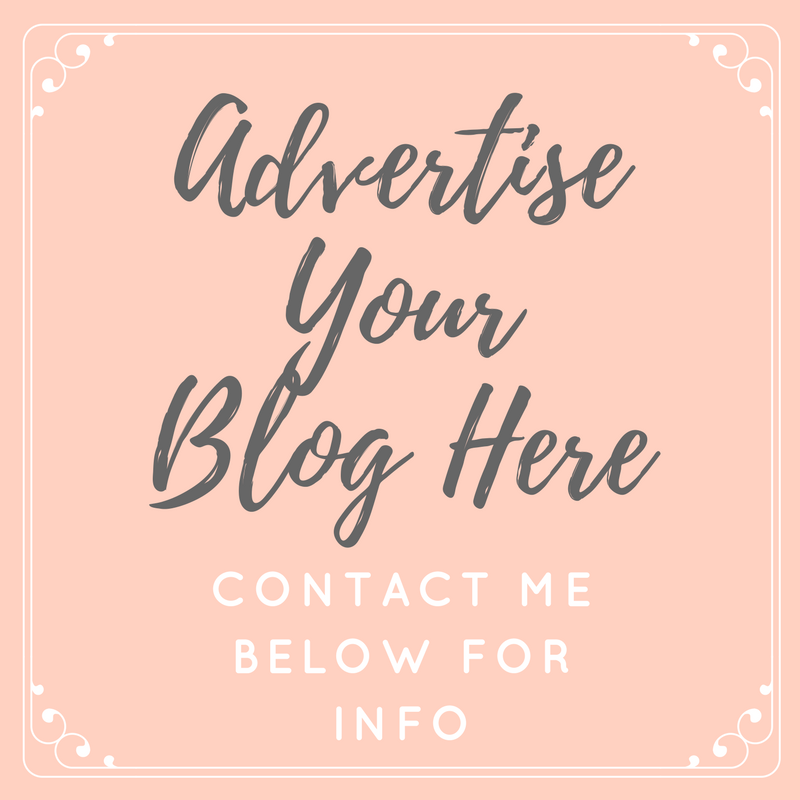 It's quite a frequent occurrence that I find myself scrolling the Ego website, I love shoes, and their styles are always so fashion forward yet really wearable. 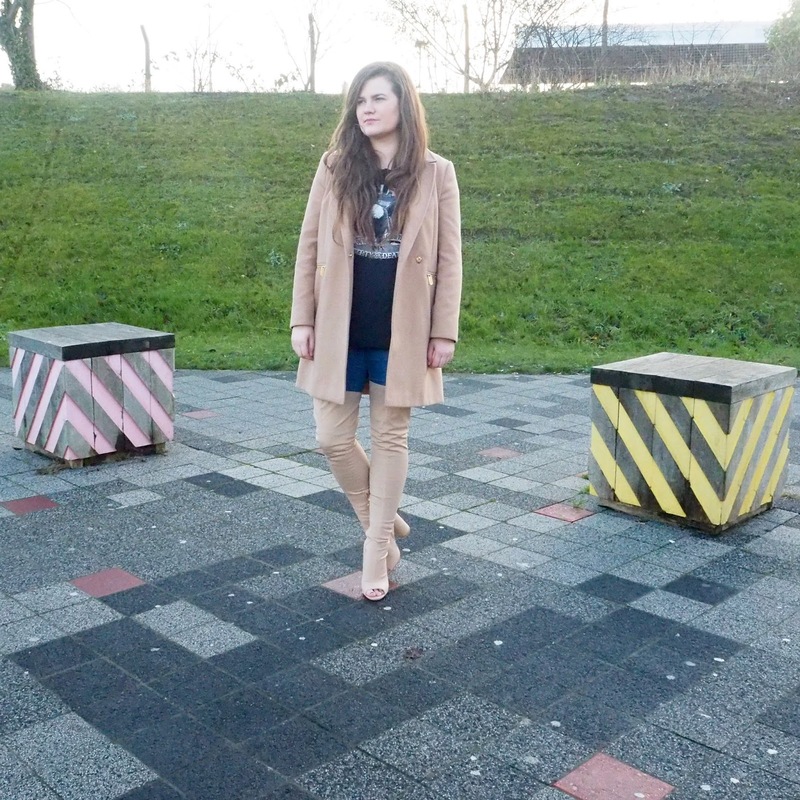 I love stepping out of my comfort zone and trying new things when it comes to styling outfits, so when Ego sent me three pairs of boots to experiment with, it felt like the perfect campaign to be taking part in, especially as two of the pairs of boots are over the knee style - which I have never worn before. Let's start with the boots which surprised me the most... Initially these were the most 'scary' to me, over the knee, peep toe, heeled and cream - gorgeous boots but nothing like I've ever worn before. Little did I know, they would end up being my favourite pair of the three! Which goes to show that you should never be afraid of experimenting. 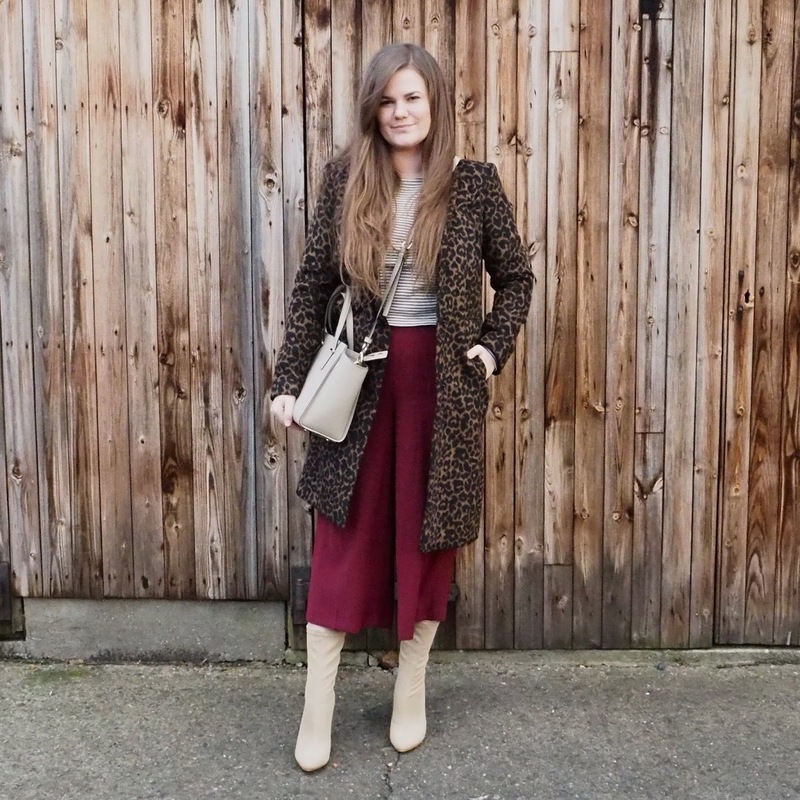 I decided to go for a bit of a casual/rocky look, and then smarten the outfit up with my coat to match the colour of the boots, perfect of a shopping trip and then drinks with the girls. 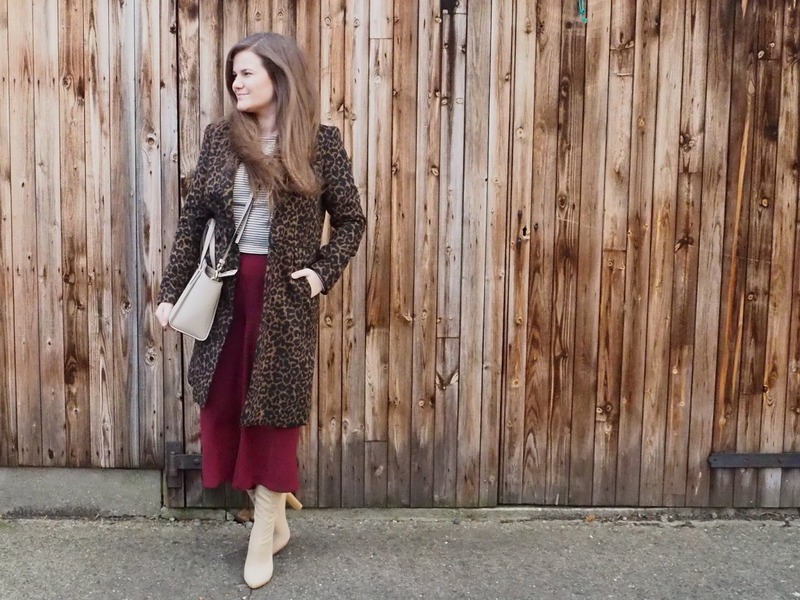 This look works with or without the coat, but I definitely think I made the right choice styling this colour boot over jeans, as they wouldn't have looked as good over my pasty white legs! The second pair of knee highs are very similar to the first in style, but made from a woven fabric and they're black - much more my usual style. I have worn these with a short black tee dress and a long duster coat for a night out, which is a look I loved (and will try to feature on here really soon), but I have to say I love them most when worn over jeans. 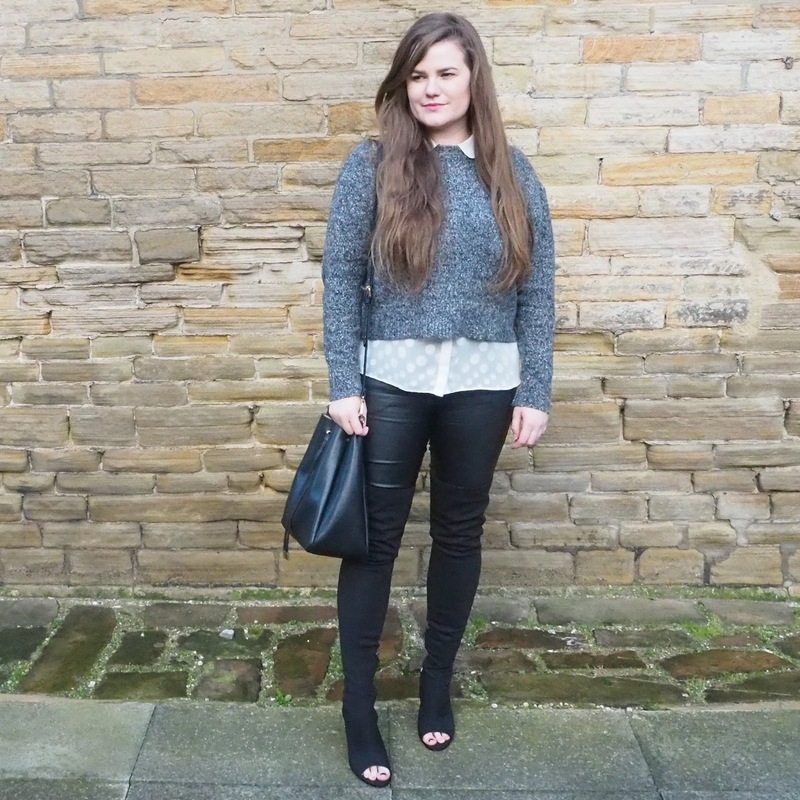 My goal with this outfit was to mix up the textures, while keeping the whole look to a monochrome colour palette. This gave the boots a smart/casual vibe rather than the usual dressed up outfit you see these boots with all the time. Lastly, I styled a pair of cream ankle boots, which are much closer to my usual style of boots. I was a little spoilt for choice with how to wear these, as they're so versatile. I would put them with dresses, skirts, jeans and culottes (my personal favourite), I feel with a pair of boots like this the options are pretty much limitless. I felt a bit braver with these, going for an outfit of clashing prints and Autumnal colours, which I think works really well. 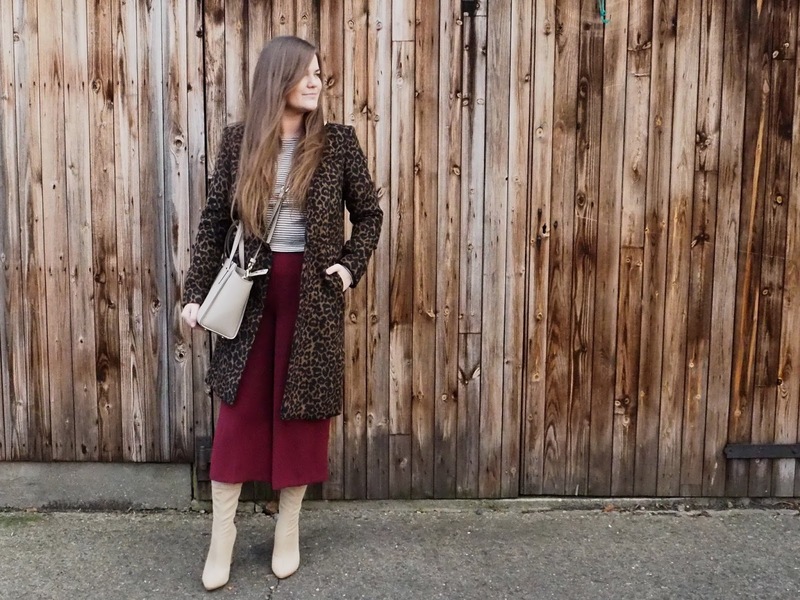 I also love to contrast of the fitted boots with the loose fitting culottes, yet the matching colour of bag, boots and top all pull the outfit together to make it work. I'd wear this for any day I needed to carry an outfit through from day to night - It's perfect! Which are your favourite pair of boots? Let me know how you'd style them!